It’s all happening!! Almost time to watch the temps begin to rise–as hard as that seems when we’re all hunkered down waiting for snow to hit Atlanta one. more. time this year (and people on the streets/in the grocery stores acting like fools who have clearly seen more than their share of ice this season). I love this time of year. I don’t actually have to do any of the WORK of gardening, but I get the joys of DREAMING of a my garden. Sigh. Best of both worlds: cozy chair with a quilt and a mug of tea, but the blooms and fruits of a gorgeous garden bounty. The past two years, I haven’t even attempted a garden. Well, OK, that’s not strictly true: first, last year I plopped a tomato plant and a pepper plant in pots from the grocery into some large urns on our new patio before we had a giant party, and two, it’s been more like four years since we’ve had a real garden. And I’m getting the itch. Have you ordered yours yet? 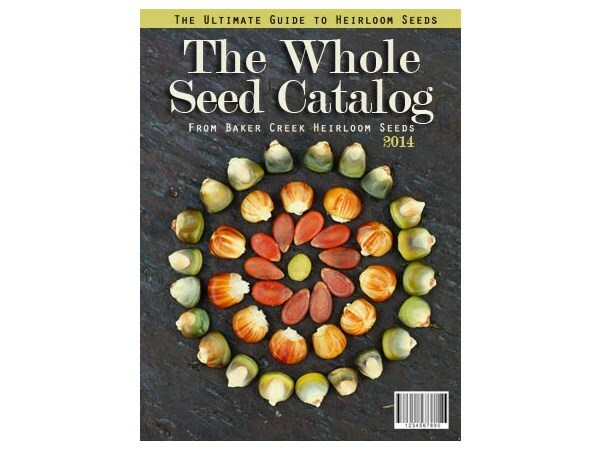 This particular one is put out by Baker Creek Heirloom Seeds, and is a whopping 324 pages of dreamy seed goodness. 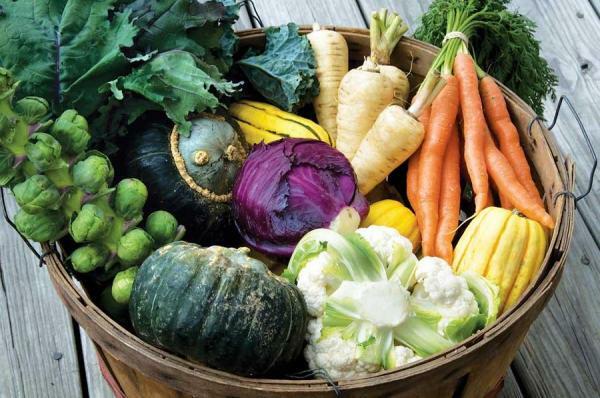 Plus, it’s way more than a catalog: it has anecdotes and articles and advice for organic and GMO-free gardening, plus recipes and planting tips. I’m practically salivating just thinking about it. You can get your copy here–the free catalog they do each year is gone for 2014, but this one is a bargain at $7.95US, and I’ve already requested my 2015 freebie. Just to make sure all my bases are covered. What’s on your gardening list this year? Have you already started dreaming of your own plot of ground this year? Baker Creek is only about 15 miles from where I live. They have a festival every year, and it’s grown quite a following. Fun Fact – it’s in the small town where Laura Ingalls Wilder wrote her Little House books. Wow!! I’ve always loved the Little House books–I had no idea! 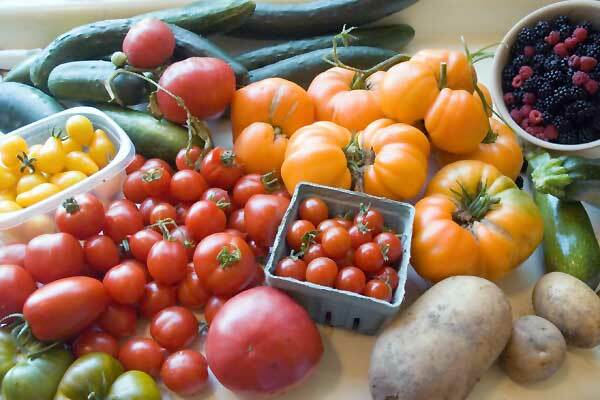 I did my graduate work in prehistoric foodways, so I’ve spent a lot of time reading about the current heirloom seed movement, and Baker Creek has come up again and again. Such a cool organization–I can’t wait to get my catalog in my hands!! Have you tried mixing half mashed potatoes and half mashed cauliflower plus a tablespoon or two of shredded parmesan? Delish! It’s a great way to use up leftover mashed potatoes, and to use the cauliflower that you don’t love. It’s my new favorite side dish, and the hubs always wants there to be leftovers so he can take some in his lunch the next day. Oooh, no! I wonder how the children would feel about that? They certainly love mashed potatoes, and I have yet to see them turn down cheese in any form… Will have to try it with them next chance we get! Thanks for the tip, KS! I do straight up mashed cauliflower all the time, with a lot of garlic. My uber picky man doesn’t love them but does eat them with no complaints. I actually think they’re quite delish. I may have to break down and buy the catalog now that I know it’s not just seeds. Neither hubs nor I has ever loved cauliflower, not since we were kids. But we felt the same way about Brussels sprouts until we had them cooked with pine nuts and bacon fat–so maybe that’s the key? ?